Flowers are a special gesture, meant to convey so many emotions for so many occasions. Whether we receive flowers to welcome a new baby, to celebrate a special birthday milestone, or to express love and romance, flowers often coincide with life's biggest milestones. They provide a lovely expression of someone's thoughts and sentiments, but what happens when the blooms inevitably fade? 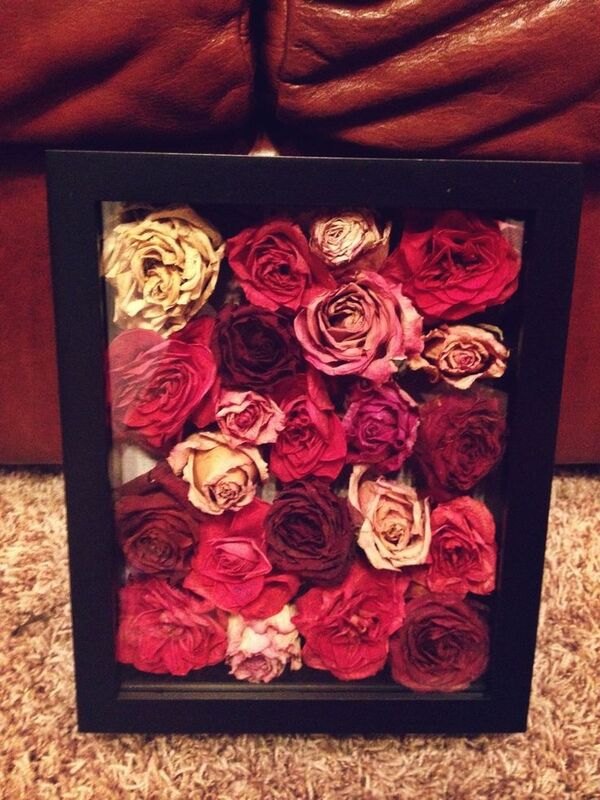 There are several ways to preserve your flowers, and make the memories last. 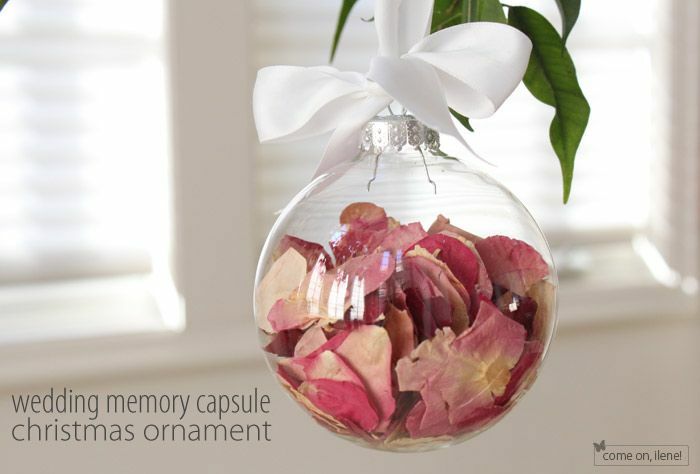 You can display the preserved bouquet in your home, or turn the blooms into other creative keepsakes. You can do this yourself, with very little fuss. Simply hang your flowers upside down in a safe area– usually a darkened room or closet is best. If needed, you can loosely tie the stems with string (not a rubber band). It will usually take about 4-6 weeks for the flowers to fully dry, and expect some shrinkage and colour change as they drying occurs. For a variation on this, you can also dry flowers by placing some sand in a brown paper grocery bag, then placing your blooms inside. Shake gently to lightly coat the petals, then place the bag outside in direct heat for a few days. The sand will help to preserve a bit more of the colour. You can then bring the bag inside, remove the blooms (shake off excess sand), and hang them to dry as above. You can purchase silica gel at most local craft stores. The name is misleading as it isn't really a gel, but more like a fine sand. Follow the instructions provided with the box, but you usually need borax to work with the gel (be sure to wear gloves!). Cut the stems off the flowers, and mix the borax and silica as instructed (often it's four parts borax, to one part silica). Pour a layer of the mix into the bottom of an airtight container. Place flowers face down and cover with the mix, until the container is full. Cover tightly, and place in a dry, undisturbed place. The process should take about a month, after which you can carefully remove the flowers and the powder on them. Be aware that silica gel may darken the blooms, but you do end up with nicely preserved flowers. 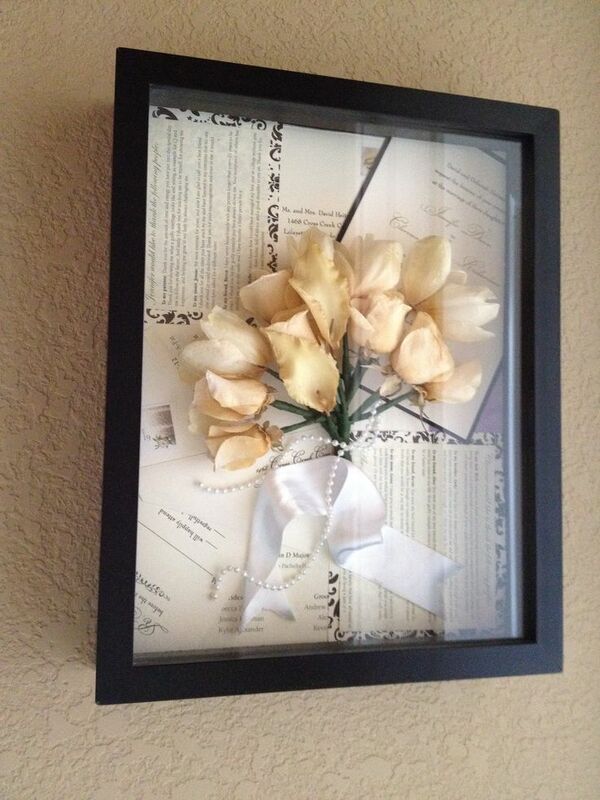 With a heavy book, some tissue, cardboard, and newspapers, you can press your flowers and create a wonderful keepsake. Place cardboard on a flat surface, and cover with a sheet of newspaper and one of tissue. Place your flowers on the tissue, and cover with more tissue, then another sheet of newspaper, and another piece of cardboard. Repeat until you have stacked all the flowers. Place a heavy book and another heavy object on top, and leave the stack for about a month. Be careful as you uncover each layer. You will need to book a professional for this, but the results are impressive since much of the look and colour of your original blooms will be preserved. If you wish to use a professional service you will need to get your flowers to them while the blooms are still fresh. The process involves spraying the flowers with a special starch to preserve them, then placing them in a freeze-dryer to remove all moisture.Most professional firms will offer you a choice of shadow box or other professional display methods. Once your flowers are dried, you can set the tied arrangement on a dresser or mantle, place them in a pretty vase or container, or fashion them into a wreath for your wall. You could place them into a glass display coffee table or a shadowbox along with other keepsakes from your special day. You can also use some of the dried blooms to make ornaments (clear glass ornaments are available at most local craft stores). However you choose to display your dried flowers, they will help you remember your special event, and you will get to enjoy them and the memories for years to come.